The UK2.NET hosting company was started back in 1998 and has been an active player in the web hosting industry since then. The company is part of the UK2 Group which also owns some of the major hosting companies in the world. Some of the hosting services that the company offers are domain name registration, dedicated server hosting and reseller hosting among many others. The company is rated as among the fastest growing web hosting companies. The company offers both Windows-based and Linux-based hosting services to their clients from all over the world. UK2.net is primarily Britain’s local web hosting company. It is a part of the UK2 Group which hosts in America. With almost twenty years of experience, they are the “godfathers” of web hosting and have expertise in selling customers more than a million domain names! The company also caters to the needs of clients from over 200 locations worldwide. 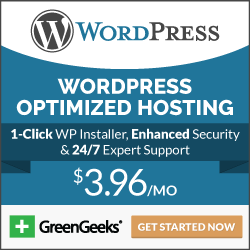 This Company offers Softaculous app installer, thus, granting the user potential to install modern software, including WordPress. Joomla, Drupal, and open cart. For a limited time, users can avail around 80% off on a .UK domain. It costs for £1 +VAT only, thereby, making uk2.net among the best web host for WordPress. With a network up time of up to 99.9%, the clients of the UK2.NET web hosting company are no doubt online throughout the day and night which goes a long way in promoting the professionalism of the web host. On top of that, the customer care desk and the technical support team are at the client’s disposal at any time. Clients of the UK2.NET hosting company can reach the customer care desk 24/7/365 via live chat, e-mail and telephone nad on top of that, the team is very responsive when dealing with their client’s queries. On top of that, they offer clients a 30-day money back guarantee in case they are unsatisfied with the hosting services offered. UK2.net offers a no hassles warranty. Unsatisfied customers can opt for money back for which the service must be canceled within 30days, and this option is not available for domain names. Customer issues are taken as top priority 24/7, and continuous support is provided via phone, chat, tickets, and email. The company is offering over 80% discount for a.UK domain. Its price is now £1 +VAT. For web hosting, the company is offering a “Buy one and Get one Free” offer. This offer is for a limited time and the free offer spans for two years. UK2.net is a local webhosting company in Shoreditch, London. This web host has been in the adult hosting industry for over 15 years and still going strong. The UK2.net hosting company is part of the UK2 group of hosting companies. For a little over 15 years now, the UK2.net web hosting company has been on the front line in offering quality adult web hosting services. This has led company to become a giant in adult hosting. At UK2.net hosting, clients gets to enjoy website hosting services, domains registration, website design services, VPS hosting services, VPN, reseller hosting and dedicated server hosting services.The web host operates their webhosting services on 3 basic hosting plans; the essential hosting plan which goes for the low price of $2.48 per month and has features such as: a free domain name and 10 websites. 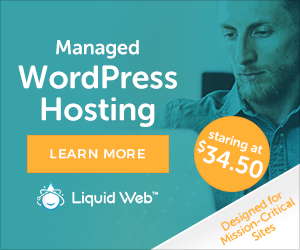 The business hosting plan is the other hosting plan available to clients and goes for only $ 2.98 and has unlimited websites, a dedicated IP address, a free SSL certificate and a free domain name.The other hosting plan is the business cloud hosting plan for $6.48 per month and comes with features such as: a free SSL certificate, a dedicated IP address, UK2 cloud, unlimited websites, a free domain and guarantees network uptime SLA.The best part about hosting with UK2.net is the fact that there are no hidden charges and clients are entitled to get a 30 day money back guarantee. Some other extras and add-ons you get when hosting at UK2.net include: SSL certificates, Facebook integration, Stats2, attracta SEO tools, a dedicated IP address along with many others for just a small fee. Among the best features of UK2.net hosting is the speed, unlimited traffic and e-mails, along with the ability to host multiple websites and a superb customer support team. UK2.net hosting ensures that they offer speedy and quality hosting services. On top of that, they use enterprise class hardware which ensures that they offer clients only the best quality web hosting services. The servers they use are top speed and offer you both automation and control of your dedicated server. Their control panel is next-generation and therefore allows you to reboot and even re-imaging without any help. Root/Admin and IPMI are both standard for dedicated servers which gives you complete control.Moreover, their servers come with 1 gigabit connections, which makes them very fast. UK2.net have ensured that their clients trust in the reliability of their hosting services. First of all, they offer clients a guaranteed network up time of up to 100% SLA and to top that up, clients are entitled to a 30 day money back guarantee. The performance and speed of their servers is another plus as it ensures the hosting offered is fast and of good quality.